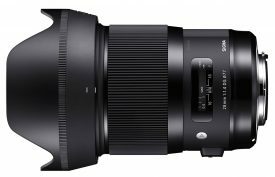 Sigma just announced the Sigma 28mm f/1.4 DG HSM Art today and it can be pre-ordered at B&H Photo / Adorama / Amazon (Coming Soon to Amazon). Shipping starts on January 25th, but E-mount might ship a little later. 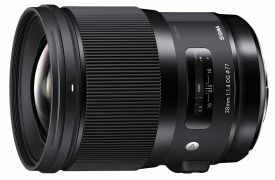 Sample images are available here. This entry was posted in 3rd Party Lens and tagged Sigma, Sigma 28mm, Sigma 28mm f/1.4, Sigma 28mm f/1.4 DG HSM Art. Bookmark the permalink. Trackbacks are closed, but you can post a comment.